Extremely versatile and made from 100% organic cotton, Holly is designed with your utmost comfort in mind. 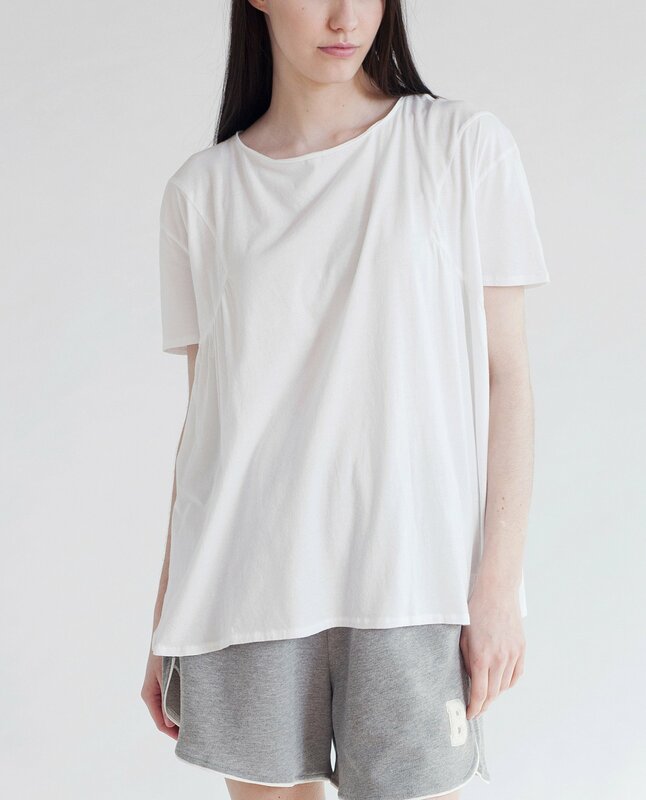 Featuring sleeve seam detail and slight gathering, Holly is no ordinary basic tee. Pair with jeans for a casual day look or wear with a skirt and your favourite boots to transform in to evening. - Features a keyhole detail at the back neck. - Across chest: S 51cm. - Length from side neck point: S 64cm. - Across hem: S 64cm.